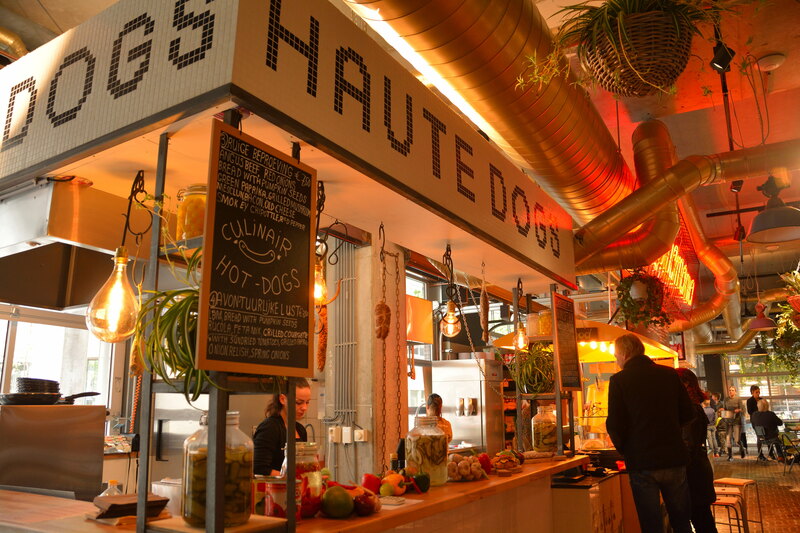 Hello Eindhoven, there’s a new food hotspot in town, and it’s excellent! 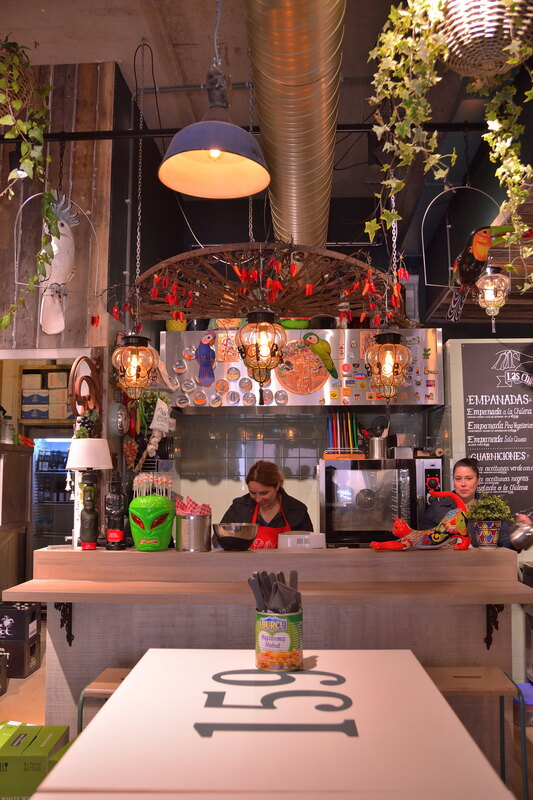 Great food, huge variety of international specialties, nice interior and excellent atmosphere. That’s only one way to describe Downtown Gourmet Market in Eindhoven, one of the most recent additions to the culinary scene. Opened from tuesday to sunday from noon till midnight. The concept is simple… Pick what you like to eat from the twenty-plus different Gourmet-stands and eat it at your table (or at the many barstools) or share it with your friends. The foodstands all operate separately. Order a pasta at Squisito and a empanada from las Chilenitas and they serve you at the table, the same goes for the drinks. There’s a bar in the middle of the Gourmet Market and you can order from your spot. Good for the lazy sunday afternoons, or to start your evening with a bottle of wine. The difference with Vershal ’t Veem is that Downtown Gourmet Market is focused on eating and enjoying food and drinks, whereas you can also shop for groceries at Vershal ’t Veem. There are two sides with foodstands, divided by a courtyard with a terrace and a little house on the yard. The bigger area with the foodstands has the tables in the middle, as well as the bar. Just sit down and order your drinks at the table and have a look around on the various menus of the foodstands. There is a great variety of food to choose, from fingerfood or cheeseplatters, to tapas (pintxos), italian, asian, eggproducts, fish, vegetarian, meat and burgers (Beef and the Wingman rules) and even icecream and pancakes. The icecream comes from ‘Ijssalon Kees’ which is famous for it’s ice cream in Geldrop. You can have a look on Downtown’s website to give you an insight into the different stands, but it’s even better to visit Downtown Gourmet yourself and to have a look and taste. Back to the interior, the typical industrial-looking style of Eindhoven is cleverly covered by hanging baskets with plants (lots of them), wooden panels and the different foodstands. Some of them have little lights or neon-signing, others try to convince you to eat their food more subtly with their produce on the counter. Most of the food is made on the spot and it will make your mouth water as you walk around to make your pick. I just love this great addition to Eindhovens hotspots for lunch, dinner and drinks. 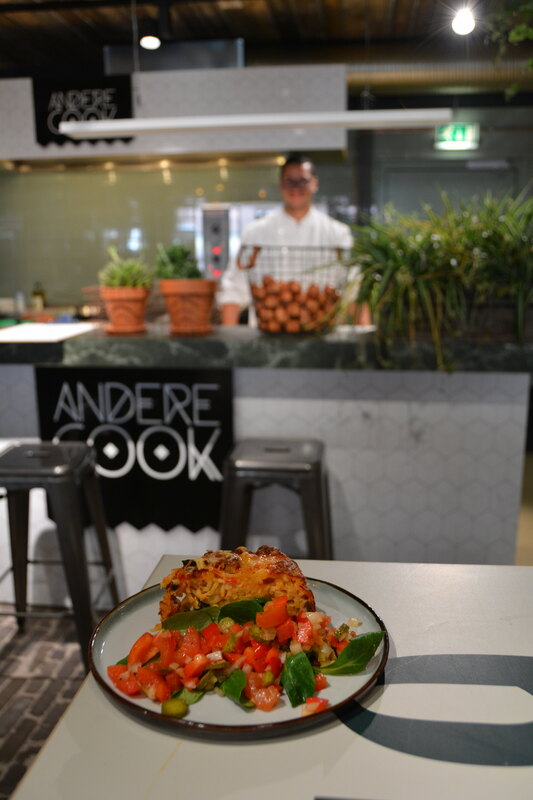 Downtown Gourmet Market really brings a new dimension to the culinary scene in Eindhoven. Go and visit this delicious hotspot while your staying in Eindhoven or break up your shopping spree and let your feet have a rest here. Or just spend a lazy afternoon with your friends and a few drinks. For other lunch, dinner or drink hotspots visit these pages. Bon appetit! For the latest hotspots or events follow me on Facebook, Twitter or Instagram. 3 mei 2017 | Filed under Chill Spots, Coffee spots, Dinner spots, Drink spots, Lunch spots, Market spots.